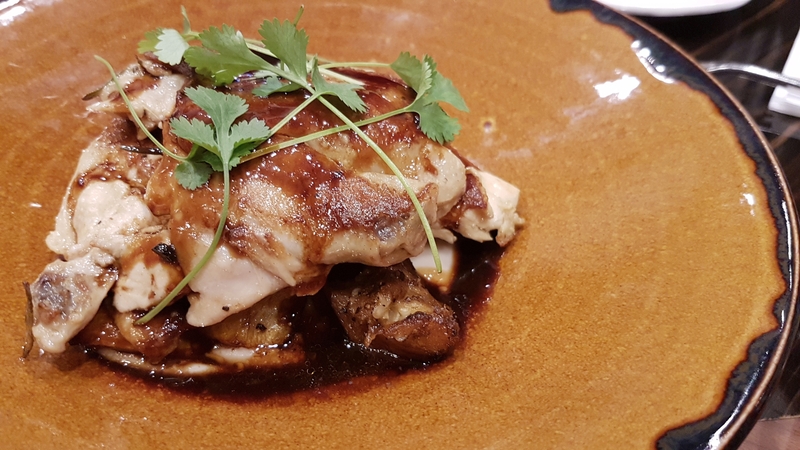 Situated in the lobby of Park Hotel Clarke Quay is Porta, the hotel chain’s latest addition to their extensive lineup of F&B options. Besides offering an assortment of dishes from all over Europe, the restaurant also has a deli where customers can take away cold cuts like ham or sausages in the day. We stopped by to check out Porta’s new menu and started with a couple of selections from their new brunch menu. The Avocado Toast ($16) is great fuel for any millennial not looking to buy a house in the near future (old joke, I know!). 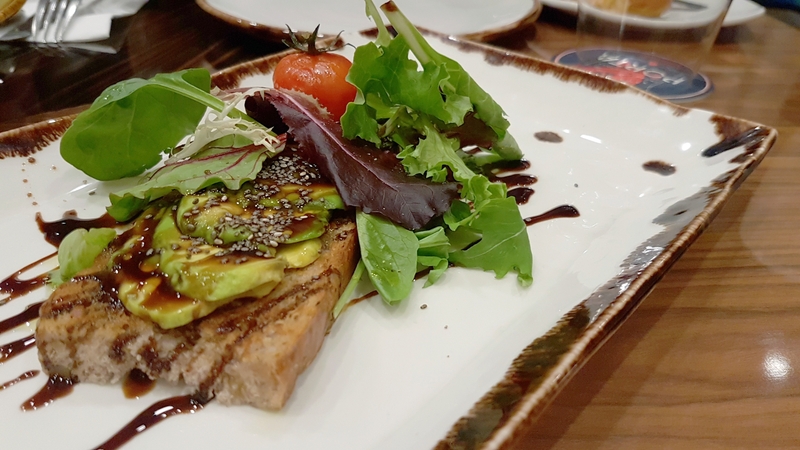 The touch of balsamic vinegar cuts though the heaviness of the avocado delightfully, though i wished the bread sported a little more flavour. 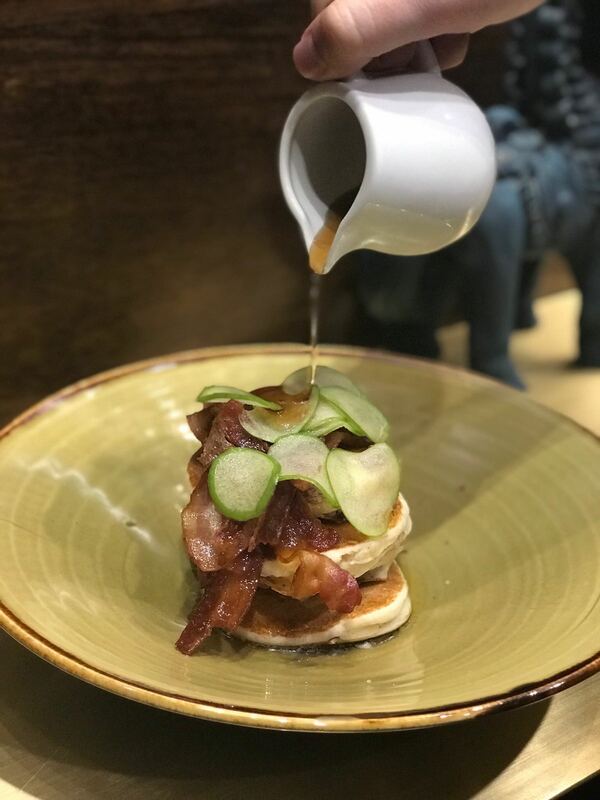 Our second and final peek at the brunch menu is a plate of gorgeously stacked Apple Bacon Pancakes ($16). Drizzle that pile of goodness with that sweet and sticky maple syrup and bite down on some crispy bacon and fluffy pancakes for the ultimate brunch experience. 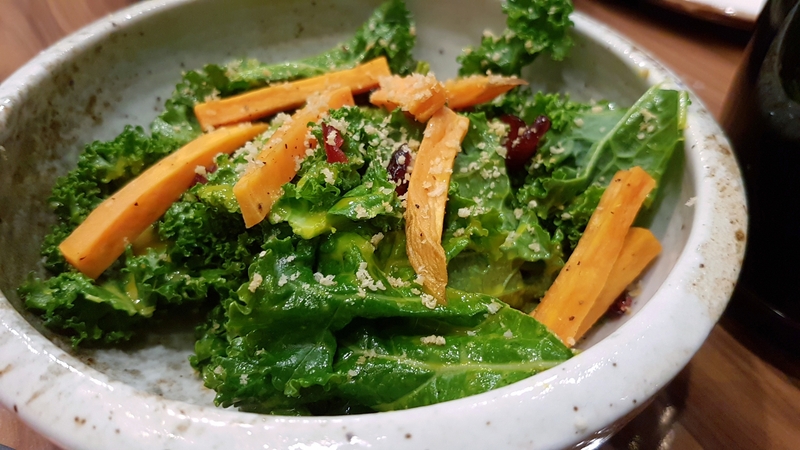 Moving on to the main menu, the Sweet Potato & Kale Salad ($14) delighted with a sweet and fragrant dressing that balanced out the harsh bitterness kale can sometimes deliver. The Tuna Tartare ($18) on the other hand, was refreshing with its light sesame dressing. The Spring Chicken ($24) and Norwegian Salmon ($24) offer safe and healthy main course options for the #fitspro crowd with a good balance of proteins, greens and carbs. The taro puree that came with the chicken was a tad too heavy for my liking, but I preferred the sweet and lighter pumpkin puree that was coupled with the salmon. 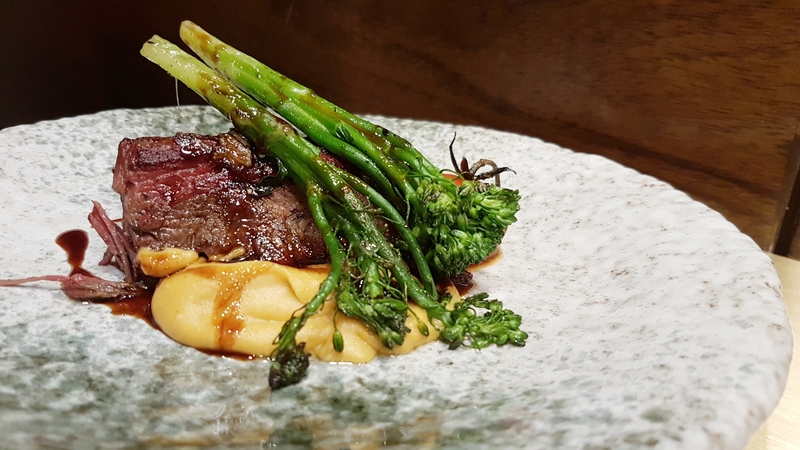 If you’re looking for something a little heavier and heartier, the Braised Beef Short Rib ($28) will leave you more than satisfied with it’s rich and savoury goodness.The tender beef proved to pair delightfully with the curry mash for a deep and spicy flavour. But the real stars of Porta are without a doubt their pasta dishes. 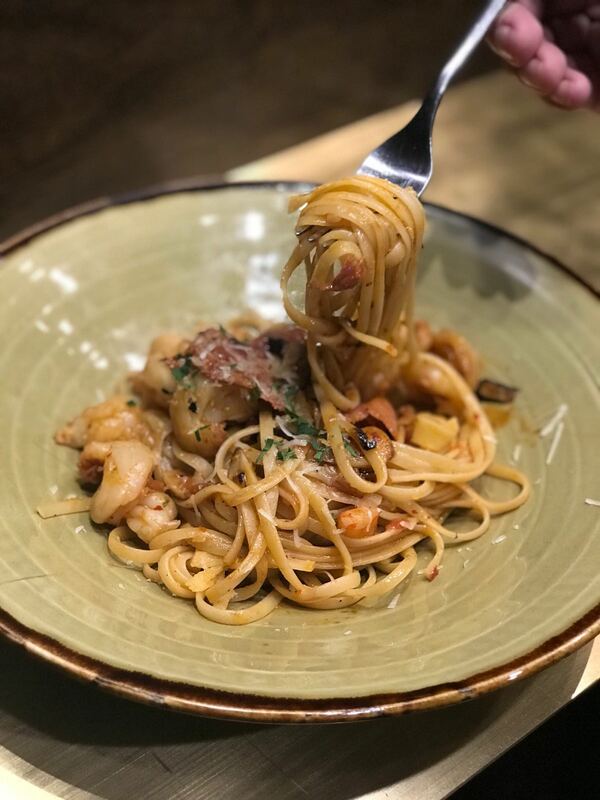 The innocent looking Prawn And Spicy Chorizo Pasta ($22) pack a whole lot of flavour and spice sending my taste buds into overdrive, definitely a dish not to be missed! 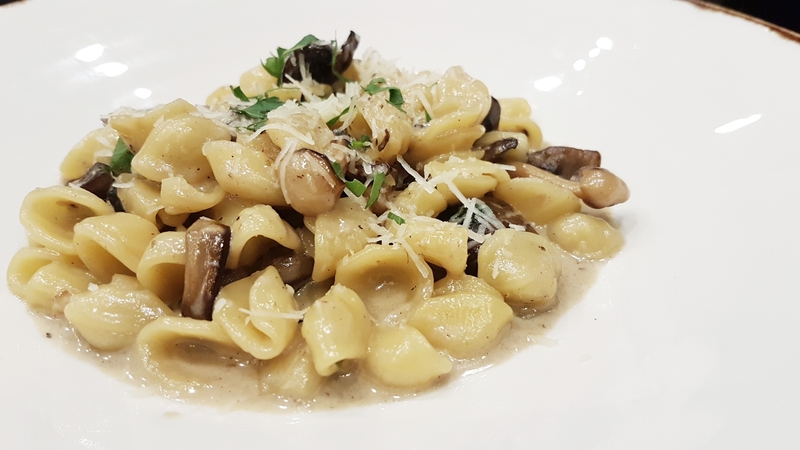 For the vegetarians out there, don’t despair because the Wild Mushroom Orecchiette ($22) provides an equal or arguably a better experience. The sauce is rich and earthy without being overpowering and heavy which tends to be the downfall for so many cream based pasta dishes. 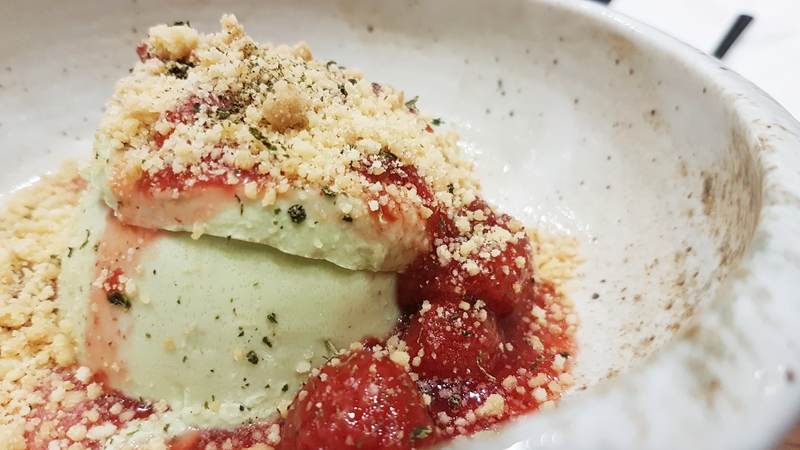 We finally closed off the evening with Strawberry & Basil Panna Cotta ($12) I was a little hesitant about the combination of ingredients at first, but my worries were put to rest the second I got a taste! The basil added a different level of sweetness to the dish that I wasn’t expecting and it wasn’t overly sweet.